This year I am all about saving my coins for better use. I love shopping wholesale. However, I've noticed that my family could do a little better with how much food we waste. I've learned that my family does not eat leftovers which, therefore, I only need to cook enough for my family. when I purchase produce I try to use it all up prior to the produce going bad. Which at times has been an epic fail. While at my local Costco, I picked up some mushrooms, Naan bread which was a $1 off and Baby spinach. I didn't realize that the Naan bread would be expiring in a couple of days. (which is a 12ct) I opted to not wait until the last minute to freeze the Naan bread and only left four slices out. ( I'm trying to get better usually, I'll wait until it's too late to freeze the bread. I froze pretty much 90% of the two-pound bag of spinach to use for cooking meals such as omelets, quenches, and pasta. Last but least, I tackled the mushrooms. I never thought about freezing mushrooms until I seen a frozen bag at Target. I also never thought about freezing spinach until I reading a blog post online about freezing wholesale items which were very informative. Of course, I went to my buddy YouTube because (I'm a visual person). And found this great video here about freezing mushrooms. I followed the video and froze the mushrooms. Once they were frozen, I opted to put the mushrooms in snack size bags just so everything is already when it's meal time. I also noticed how this also saves me time with cleaning and slicing the mushrooms because it's already done. I may also do this method with onions just to cut down on the prep time. 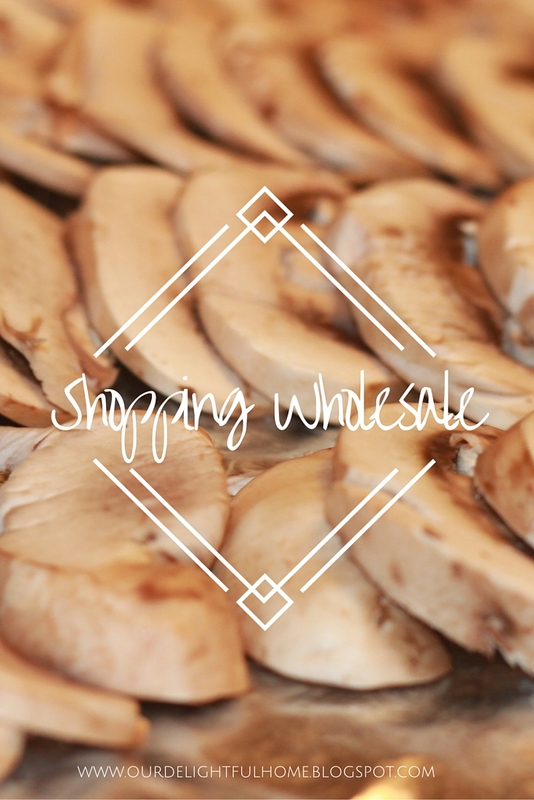 Do you shop wholesale? Do you freeze any bulk items?